There are numerous way you can reward your clients who are referring people to you. The first step is to understand how to track your clients who are referring new clients. Tracking clients who referred someone. To keep track of your clients who are referring new clients, go to the new client's client card, and in the Details section, click Edit. On the right side panel expand the More Details section and click Select in the Referred By section. 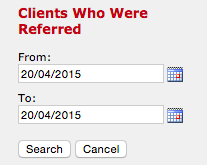 Find the client who referred them, click their name and click Save down the bottom. Looking up clients who referred someone. Simple Inked allows you to view your clients who are referring new people. Go to Marketing, and pick the Clients Who Referred Someone option. On the right side panel change the date range and Search. Here are your clients who have referred new clients between the dates you choose. Another way of tracking clients who have referred new clients. You can also track referred by clients by going to Reporting > Report List > Client Marketing Report > change the date range > Show Report > Show Details next to Clients Who Referred Someone. This will give you the clients who referred someone, as well a Details link next to each client which will show you all the clients they have referred. Rewarding your clients who refer someone. 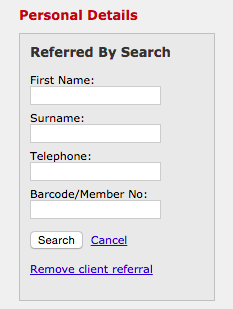 While you are looking at the Clients Who Were Referred by *Client* report (image above), you can reward the referrer by clicking the heart next to the clients name. On the right side panel you can Reward the client by giving them a Gift Voucher. 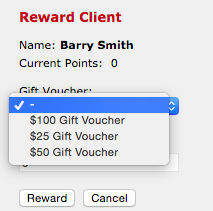 Select the Gift Voucher from the drop down menu, and click Reward. The VOUCHER ID will be displayed on the right, so you will need to write this VOUCHER ID onto the clients physical Gift Voucher. Another way to reward your clients for referring new clients. 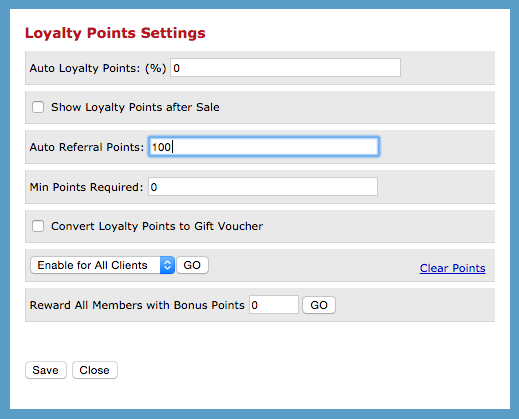 Alternatively, head over to your Settings page (top right), and select the Loyalty Points Settings. 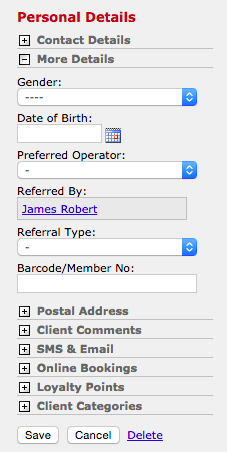 In the Auto Referral Points: section, enter in the number of points the client receives when they refer someone. Save the settings. Now you need to set up the Services to be redeemable using the points the clients receive from when they refer someone new. To do this you need to go to Admin, then to the Services tab and Edit a service. 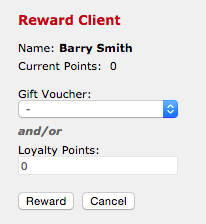 On the right side panel expand the Loyalty Points section. 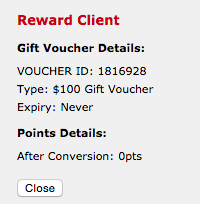 In the Loyalty Points To Redeem: section, enter in the number of points the client needs to redeem this service. For example - if the service is $100, then enter in 100. This equates to 1 Point = $1. Save the changes, and do the same for each of your services. 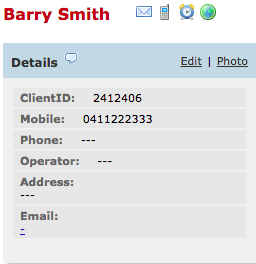 Now when you add a client who has referred someone to POS, a heart will display next to the service. Click the heart and the service can be redeemed using their points. You will be asked to confirm that you'd like to pay for this service using points. Click OK, and the service will be redeemed. It will disappear from the sale. All done. The loyalty points used to redeem the service will be deducted from the clients points total.